When decorating or making decorating decisions for new homes, it is important to remember that your major decisions could affect decorating choices for quite a long period of time. Commitment to bold or unusual color treatments before you have actually had the opportunity to consider how such changes will coordinate with your furniture placement is not very advisable in this type of situation. In any case, the best advice you could receive while planning interior design for new homes is to make mediocre, undramatic design choices to begin that you can alter at a later time if you choose to do so. This may seem like very unusual advice concerning interior design for new homes especially coming from someone who is working within the design industry–but there is good explanation for this reasoning. A large, open space without viewing or visualizing any furniture content within that space is quite easy to get a little carried away with while making structural changes. Also, keep in mind that by using very bold or dramatic designer interior colors on the walls you might be closing off your future alternative color choices to those that will cover the bright. Also, keep in mind that by using very bold or dramatic designer interior colors on the walls you might be closing off your future alternative color choices to those that will cover the bright color therefore eliminating any possibility of using neutral colors without major restructuring of wall surfaces. Wallpaper is another such choice that you might reconsider using while building interior design for new homes. Again, removing wallpaper and resurfacing the surface is often times quite a headache that can be avoided by using other alternatives for creative wall finishing. A great alternative for wallpaper that adds a great texture to the wall surfaces would be a finishing technique such as faux finishing, sponging, or stenciling. These choices (and many more like them) offer you a variety of substitutes that are equally appealing and much easier to change then more permanent solutions such as wallpaper. If you absolutely must have wallpaper in any of the rooms, try using a border to achieve the look you’re going for instead of covering the entire wall surface. When painting walls, if you apply a few well known interior design tips and tricks to your method, you will be pleasantly surprised in the overall effects when complete. For example, brighten up small or dark rooms with light wall colors. Add character and direction to larger areas by defining them with contrasting colors and textures. Bold or stark color panels can also provide a defining feature to an area that you can showcase wall pieces on when you are ready to accessorize. Once the walls have been treated in your new home, the next item on the agenda while planning interior design for new homes would be dynamic placement of your hanging accessories such as mirrors, pictures, and art. Do not over clutter walls. Make good choices and place such items in key places by establishing focal points or presentation areas that will flatter the rest of your design. Interior design for new homes can be a tricky process. There is a good possibility that the area pertained in your new home will be slightly larger or smaller then the space in your previous home. It is this reason that planning placement and theme of each space in your new home is so vitally important to successful interior design of new homes. Be sure to measure widths of furniture and doorways before moving day comes in order to avoid hassle while getting the furniture into your new living space. Take careful notice of any moving activity that occurs into and around your new home. Careless moving errors can disfigure floors and walls and create flaws in your new house before you have even begun living there. 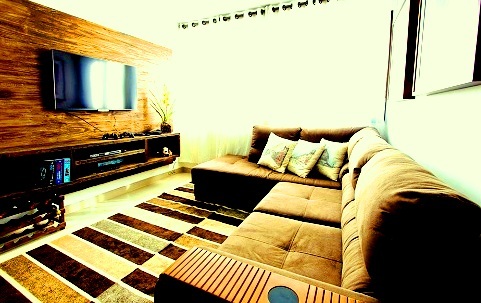 Placement of furniture in new homes is one of the key aspects of unique interior design for new homes. The old philosophy of creating larger spaces (this is seen especially in living areas and rec rooms) by lining the furniture along the walls is true at times although at other times (again, especially in recreational-type rooms), dividing the room into two separate spaces by positioning furniture towards separate focal points therefore adding space and versatility to the area as well as enlarging it. The most important matter of concern when designing or planning interior design for new homes is to build an environment that caters to the individuals living there. Creating a space that is accommodating to each person’s lifestyles is the general principle of new home design.